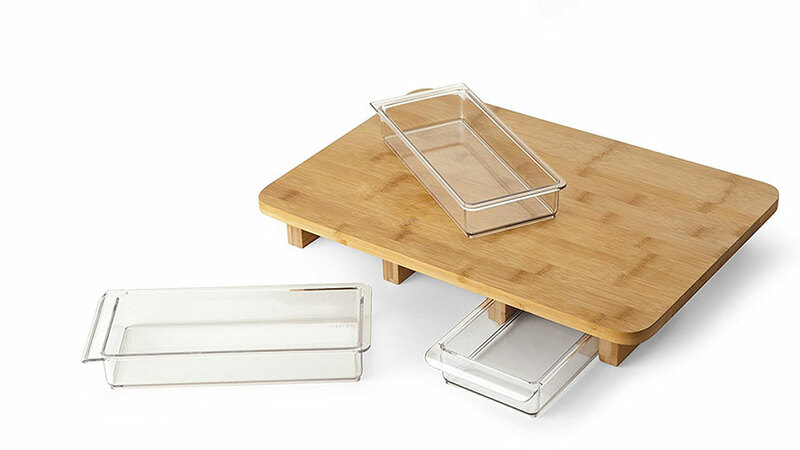 A cutting board with storage drawers makes life in the kitchen a little bit easier. The bamboo wood surface has a great looking finish with a natural mineral treatment. 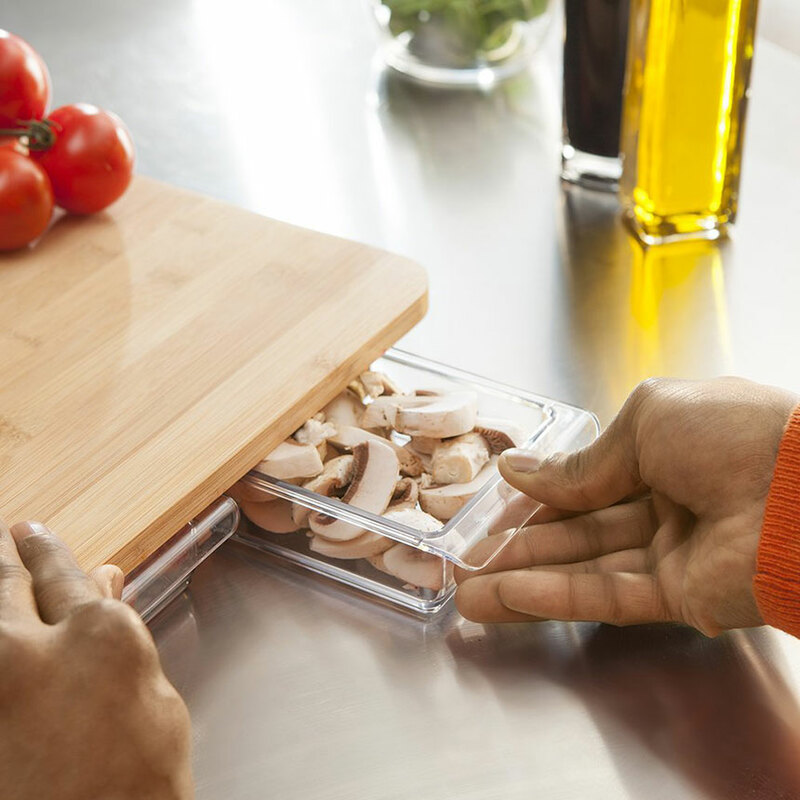 Having drawers and contains when cutting up vegetables, fruits, or even meats makes it very easy to keep things organized. Drawers pull out and easily slide back in. If you decide to switch locations while you’re working you can pick the board up and the drawers stay attached. The board has rubber feet on the bottom to prevent it from sliding around as your cutting. The board has three slots for prep contains. The storage drawers measure 8.5 by 3.5 inches. The cutting board itself measures about 16 by 11 inches. This product has customers raving. This is a great gift idea for all the cooks out there! If you have any questions leave them below.